“Of places that are, by their very nature of being, like the introverts of the society. Of places, that do not vie for our attention. Of places, that are tucked in a corner in an unfathomable glee of their own. 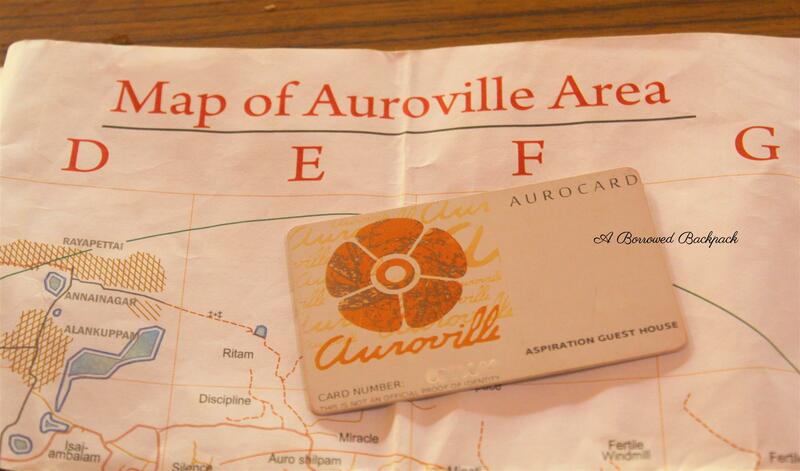 My two-weeks long trip to Auroville was a happenstance that I didn’t know was in store. After a failed effort at backpacking with a group, one afternoon I ventured solo from Chennai to Pondicherry, in a local bus from Chennai State Bus Terminal. Just as I was looking for someone who could translate the contents of this board to me, a bus bearing the sign ‘Chennai-Pondicherry-Chennai’, was veering out from its bay. It was almost full, hence a good sign that it would not make frequent/delayed stops at random places in the hope to get more passengers. I stood there, with indecisiveness writ large on my face.The bus-conductor looked at me in askance. Me: How long to Pondicherry? Without any further query, I boarded the bus. The rickety state-transport bus took its own sweet time to travel, as if it was in no hurry to reach anywhere. More so, because the state-highway to Pondicherry is a single lane (each side), non-divided, narrow road. These roads are quite a norm for a state highway in India, but are a risky affair if you are habitual of driving only on divided roads. More so during the night-time, as it is unlit too. A word about the journey-break though: These buses stop at eateries with poor public conveniences, so just make sure that you board the bus with empty bladder]. 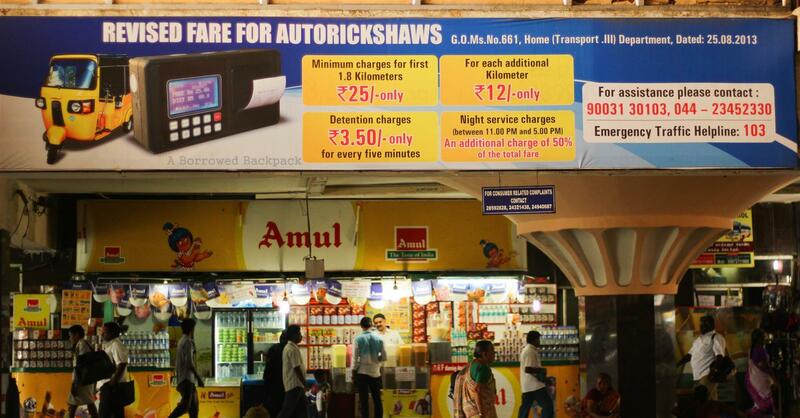 As the autorickshaw I hired (quoted Rs.100, but finally took me to Aspiration guest house for Rs.50. So, bargain!) meandered through the narrow roads, a series of fragrances hit me in the process. Out of which, two of them distinctly stood out and were from places I were to pass by multiple times in days to come. One where the fragrance of cakes-being-baked (Auroville bakery) greets you, and the other was an incense factory next to Aspiration Guest House, lending a surreal atmosphere to the area. My stay at Aspiration was a happenstance that was originally planned to last for three days. Aspiration is a community guest house, which means a group of people (families/individuals) take care of the guest-house, and it is run with joint efforts. These people might/might not be employed full time with Aspiration. My cottage with a shared washroom had basic arrangement, like a writer’s retreat kind of set-up. A bed with mosquito net, another without, one light-bulb, a fan, two chairs and a table, my set of utensils, a mat and a cat made up for basic constituents of the room. I was lucky when it came to next door neighbours; there was a very kind girl from Austria initially, and later, another one from Germany who was my partner-in-crime for most of the duration of my stay. With stay sorted, next up was taking care of the transport. You can take scooter/cycle/bike/motorbike on rent. What you prefer is more a matter of how you drive on the roads (or the lack of it) of the territory, rather than the rental. Auroville has a mix of road and mud path. You might find yourself undecided on whether you like the bumpy mud-path more, or the pot-holed roads are more your thing. Whichever of the two it is, people with back-pain issues should go easy on riding around in Auroville. These vehicles are rented out between Rs.30-Rs.100/day, depending on what you choose and for how many days. Please bear in mind that the fuel cost is extra. I took a Honda Activa and it was my best friend for almost the entire of my stay-duration. If driving/riding around the township yourself isn’t what you intend to do, then AV has many cab-services that you can use, though it limits the mobility to a great extent. Travel slow: AV, in my opinion, is a place suited for slow travel. The concept of slow-travel is fairly unheard of in India, but in a nut-shell, it focuses on ‘how you arrive’, rather than your ‘arrival’ itself. It seems to be a modern term for a practice that has been around for ages. Dig more about it here. Preferably, travel solo: I am saying this for several reasons. AV is a slow, meditative place with many things to do, but a ‘gang of girls’ or a ‘group of boys’ might feel slightly out of place. That is because there is nothing much to do as a group. There are times when you want to explore the hidden recesses and crevasses of your being through music, dance, food, farming, meditation, books, craft etc and in this respect, one person’s food might be another person’s poison. You might want to go for an interesting session on music-therapy, but your friends might want to ‘chill at the beach’. Tough call? This situation is bound to arise repetitively and often. Also, I pity those who go to Auroville on day-visits while travelling to Pondicherry, and try to make sense of the place, because AV is not a place that needs to be visited. It is a way of life, which needs to be experienced. A word about mosquitoes: Auroville‘s population of mosquitoes easily outdoes the human population of the planet, and you can thank me later for warning you about it. It would make a lot of sense if you carry a mosquito-repellent with you. Most of the places at AV shut early (early by our standards, normal by AV’s), at about 5:00pm, so stock-up in time, or better still, carry it with you. Also, I saw a lot of people fascinated with pseudo-‘herbal’ mosquito repellent, an industrial product from one of the Indian brands, available at many shops in Auroville. Please note, unless you know the content for sure, it is as herbal as your car (or your weighing-machine, if you please). And it will make a lot of sense to check in case you are allergic to non-herbal products, because EVERYDAY, multiple times, you would smother yourself with this one product. So much so, that after this, any time you use the same repellent anywhere else in the world, you are bound to think of Auroville. That repellent will become ‘Auroville’ for you. A word about Matri-mandir: Matri-mandir, the geographical and schematic center of AV, was nowhere in my plans; simply because it had the word ‘mandir’ attached to it. [I am a Hindu, but I prefer to focus on karma rather than temples, and therefore, religious places figure out very low in travel-plans.] It would have remained so, had it not been for a fellow resident at Aspiration Guest House who, one day, during the lunch said, “Matri-mandir is deliberately designed to be a sacred place for no particular religion, but for entire humanity” as a reply to some discussion. This was enough to intrigue me for several reasons like: How can there be a place with ‘mandir’ attached to its name, and yet carefully bypass all religions/faith? What is its method for connecting oneself with one’s inner self? A visit to the MM clarified everything. It has a meditation chamber in the center, with 12 petal-chambers all around. The interiors are totally off-white, and naturally lit. The meditation chamber has a single ray of sun, focused right from top to bottom and has slight, inexplicable haziness in the view. Bowing your head as one does while offering sajda and prayers. Joining hands as one does in prayers. Covering head as one does while entering place of religious significance. Carrying mobile phones and cameras inside. And a few other rules which can be viewed as an effort to keep the place relevant to people from all the religions and faith. Eat real food: AV has amazing food and loads of great places like farms, community-kitchens, cafes that hold various events on eating real food. You can read more about it on this other blog post I wrote. In a nut-shell, this is one place that will make you question the food we have back-home, and how the corporate-sector has made the access to the real-food nigh (or is it neigh?) impossible. This place, very firmly, holds on to its traditional food and I wish other places took cue from it. 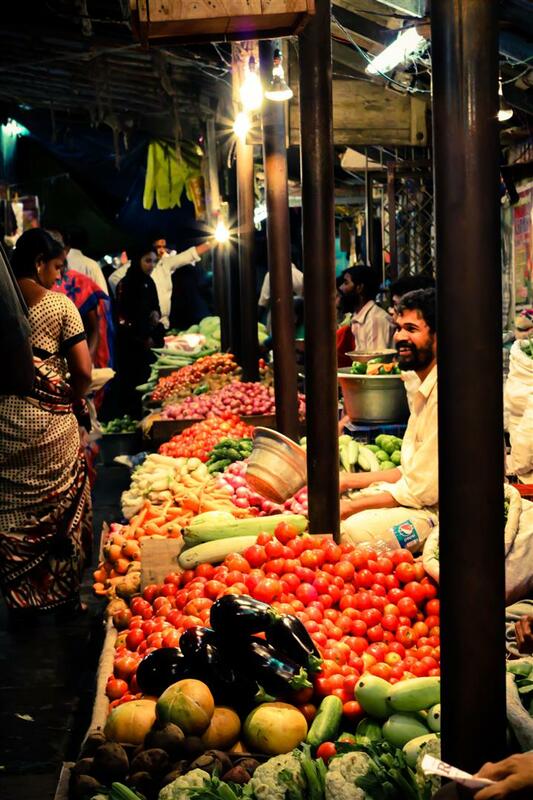 While in AV, try and celebrate the Tamil, French and Franco-tamilian cuisines. Understand the difference, and the influences one has on the other. [For the Arm-chair Traveller: Try chocolates from Mason & Co. They are simply fabulous. You can buy them online too. Give back: AV is a great place to do what you have always wanted to do, but which somehow didn’t fit into life’s plan till now. ‘Voluntourism’ is one great chunk of reason people visit this holy grail of sustainability and sustainable living. In fact, Auroville, in its practices, prefers to have volunteers, rather than tourists. If you are a tourists, many places automatically go off the list for you. It might make sense to acquire a skill just because. The best aspect for vonlunteering is that there is no-age limit to it, and you can put a skill to test/use for a cause. For example, one of my fellow-guests at Aspiration was Mary, who was volunteering with an organization called ‘Sharan’. My advice is, what you give back in the form of volunteering, is what your take-away is going to be. So, choose accordingly. Want to experience life at a farm? 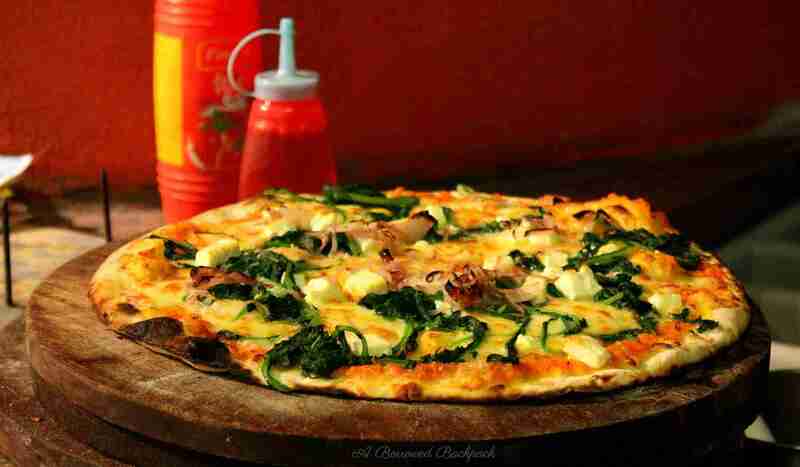 Try Buddha garden; the place that ‘grows food with love’. 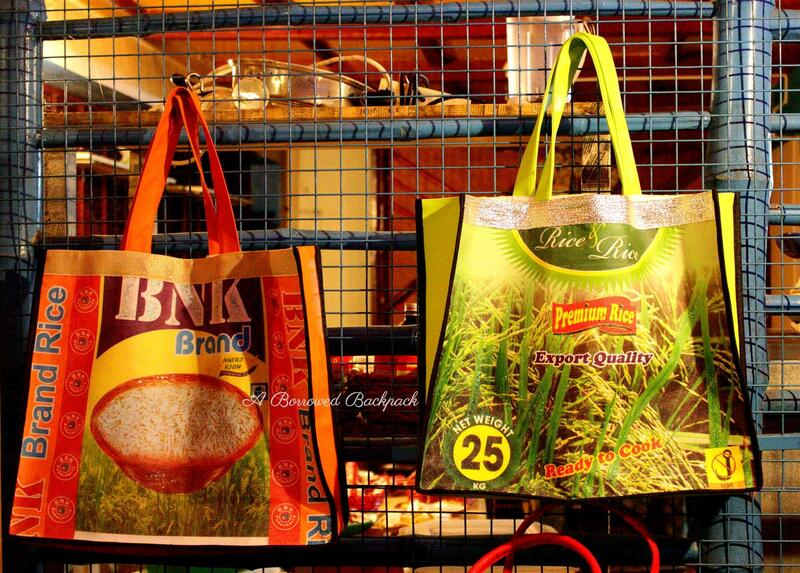 Want to live eco-conscious way? 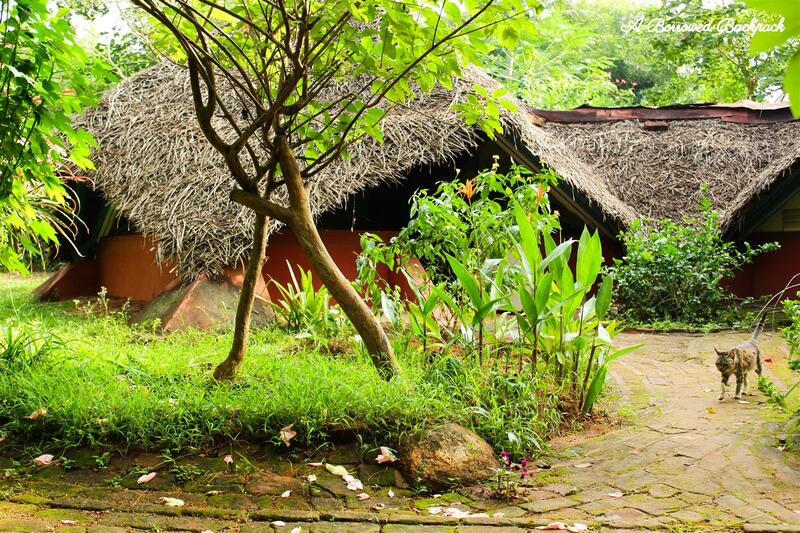 Try Sadhana Forest; the organization ‘with ecological living and sustainable revival’. Interested in plants/gardening? Try Auroville botanical garden; the organization that ‘aims to save the tropical evergreen forest from near extinction’. Love working in kitchen? Try the Solar kitchen; the community kitchen that has its faith stemming from the adage ‘do not love your ill health and the ill health will leave you.Or, if you ever have a doubt about how two people can make a world of difference, then go to Well Paper. 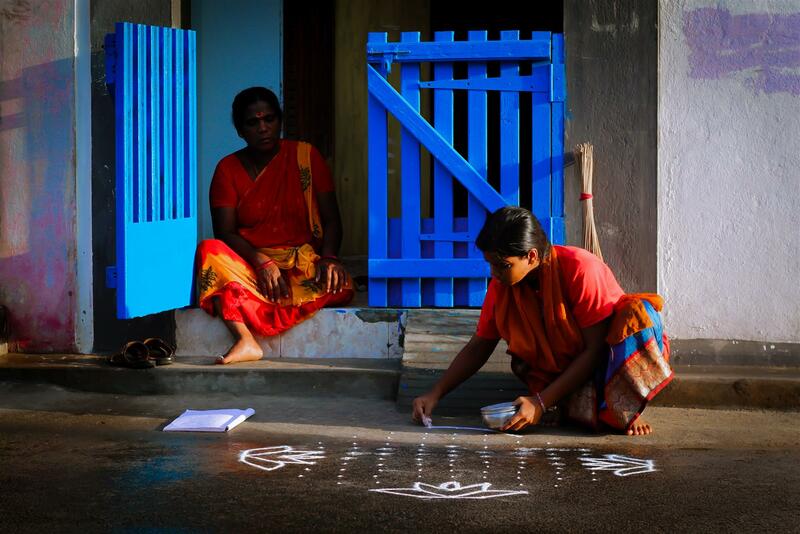 Well Paper was set up post-Tsunami, to rehabilitate the fisher-women who had lost home and means of livelihood. It has been set-up by two people, who happened to arrive at Auroville just two months prior to Tsunami is 2004. 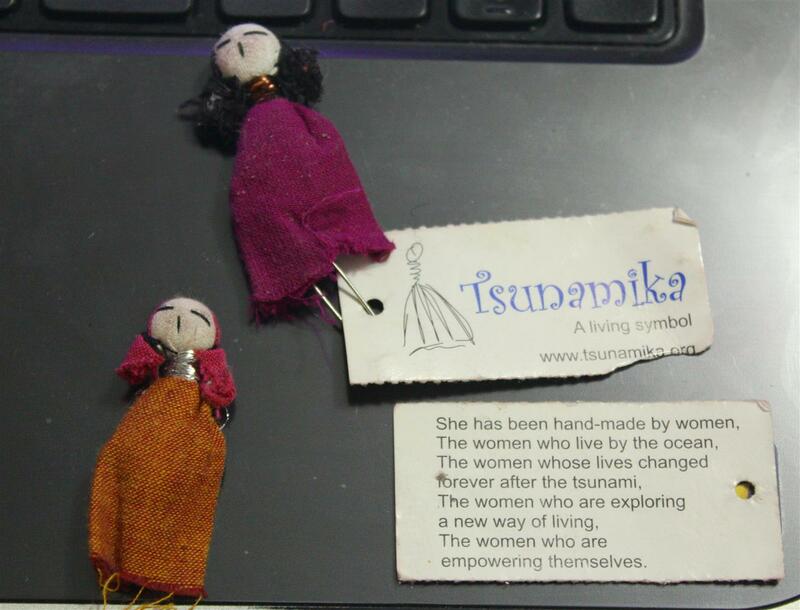 Even Tsunamika, the doll, was a by-product of damage-control initiative for this catastrophe. Apart from these, AV houses many other organizations from the domain of organic-food processing, fashion, cheese-making, architecture, sustainable living, farming, rural-development, chocolate-making. This is one place that witnesses a beautiful marriage between art and science, two subjects I have always loved with equal intensity. Take care of your hair & skin: There is something about the strong sun and moisture laden breeze of the coastal area that tends to play havoc on the hair. It is here that I understood why most of the local people put coconut oil (supposed to have sun-screen properties; though equal number of people say otherwise) in copious amounts, in their hair. To control the damage, you can try to keep your head covered every time you step out in the harsh sun. The tech-break: This an optional reason, because most of the places have the facility of wi-fi internet. I took a tech-detox of three weeks and was a delirious soul. Auroville is a fabulous place to experience unplugged travelling. Why? Because it has the old-school paper map, with all the contact details and locations pointed out on it. The weekly-newspaper called News & Notes comes out on every Thursday, and you can request your guest-house for a hard-copy of the same. Facebook, Whatsapp, Twitter, Instagram, selfies can wait, while the digital anxiety in you learns to take a rest. Take time to read: Thanks to the tech-break aspect, I got ample of time to read books; something I love doing. One eveing, while roaming around in the streets of Pondicherry, I bought much appreciated book ‘Life of Pi’. I had meaning to read the book for long. I was surprised to learn about the beautiful co-incidence that the book is partly based on Pondicherry itself! Meet people: The real ones. The ones who have soul and life, and are not just the statistics of the consumerist-lifestyle. More importantly, the ones who aren’t living just to pay their credit card bills. A lot many of them have gotten off the ‘hedonic treadmill’ (What is that?) , and don’t regret it one bit. On one of my visits to a school, I met a lady called Lopamudra who, accompanied with husband and kid, had recently relocated to AV, lock, stock and barrel. She is working for a boarding-school that is an alma-mater to children from financially lesser privileged background. Till about a year ago, she was living in Calcutta with regular dreams like ours, and a few mile-stone decisions later, she feels has finally found home for her being. No doubt it takes insane amount of courage to take steps like these, and might not be practical for everyone, but once in while it doesn’t hurt to take stock of life. To make a difference to the world around you, it is not necessary that you move to Auroville, or go completely off the grid. You can make a difference from wherever you fancy. For example, I know and admire this gentleman called Vivek Mundkur, who lives in Pune, and creates fabulous equipment in his backyard, for farmers and agriculturists. Here is what he does. Please beware: After a brief stay here, you might have the temptation to step off your career track and become a shepherd in the mountains, following your flock between pastures with a sheepdog and a stick. Think it over thoroughly, before taking any decision. How has meeting new people worked for me? During one of the evenings, I attended a music-therapy session by Gabriella (who also happened to live at Aspiration guest-house, and was travelling from Mexico). During the session, I met a girl and had a conversation with her for a couple of minutes about our experience of the session. Next day, I bumped into her again. We got chatting, and she told me that she was on her way back from a massage therapist’s place, after a fabulous session of therapy with him. She told me that her travel partner had consulted this therapist for a chronic pain three years ago and it had helped him immensely. The fact to note was that this therapist was a teacher. People could consult him weekly (Saturdays only), for two hours till noon, when he held open-session of sorts, for his students to learn from live case-studies. ‘Healing’ is anything but medicines: Auroville is a self-sustained township. Which means, whatever is needed, is produced there itself. Or, they make do with whatever it has to offer. The same principal is applied to the art/science of healing too. It is believed that that body has the capability to heal itself, with minimal or no external input, provided we do not go against the very nature of its being. Quite Healing center, Verite and Pitanga are the places that celebrate alternative healing techniques through various off-beat therapies ranging from massage to music. To be able to feel any difference from these therapies, it is important that one is receptive towards the whole thing. On the same thought, one evening, while shopping at Pour Tous, I came across cloth sanitary pads by Eco Femme. 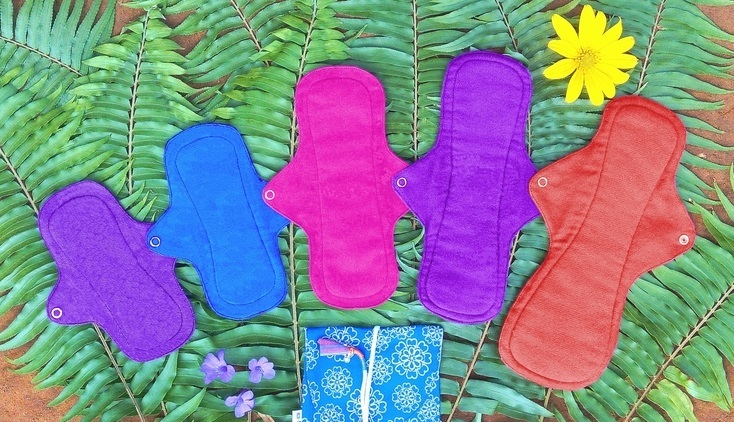 I dug a bit deeper to question the need for this kind of product in the market, and was surprised to know that sanitary pads and diapers not only take close to 600 years to decompose, they are also harmful for the skin and health! Go local: AV has its own weekly publication called “News & Notes”. [I think it comes out on Thursday(s)]. 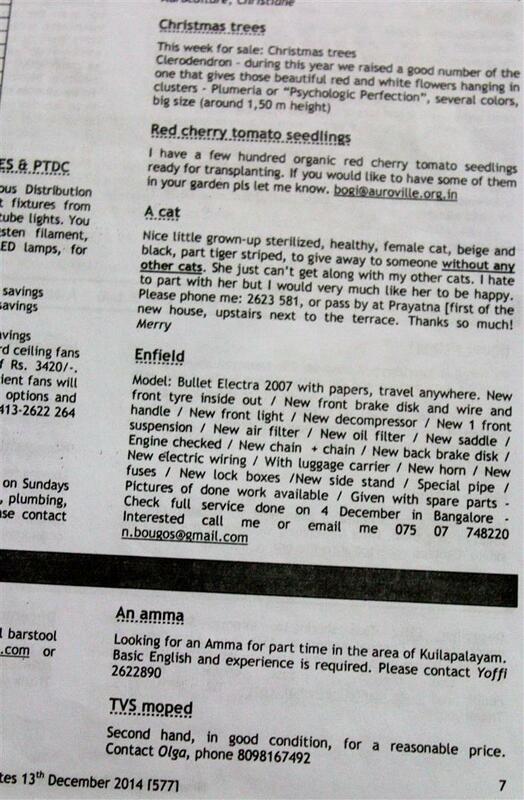 Request your guest house for a copy; it is your key to what is happening in Auroville, and has everything; from the weekend farmer’s market to announcement for a lost cat, and everything in between the two. The copy of the latest edition can be found on AV’s website. Also, every opportunity you get, try and experience what ‘local’ means, when it comes to this part of the world. Try and understand what marriage of two cultures look like; understand the Franco-tamilian way of living through food, people, architecture, festival and practices. Catch-up on culture: This place is a paradise if culture and craft is your area of interest. Every evening there is something or the other in the offing, and there are a bouquet of events for you to choose from. 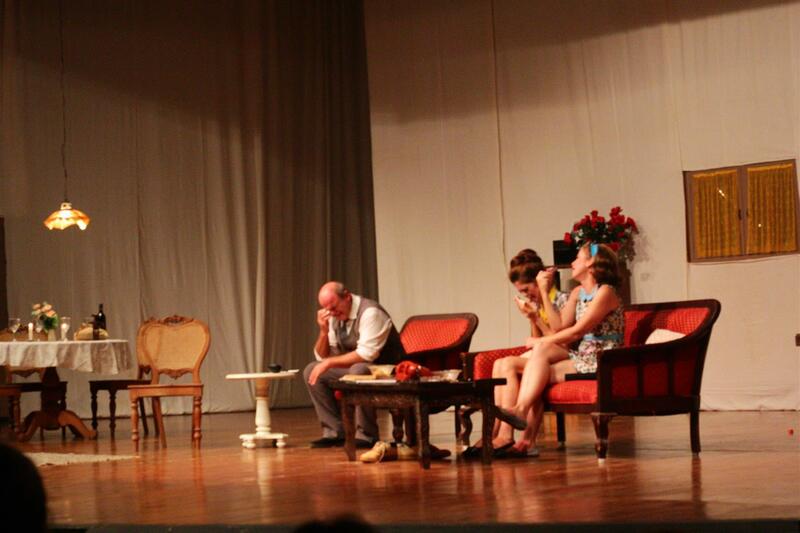 During my stay here, I attended a play called ‘The Odd Couple’ by Neil Simon, and enjoyed my time watching people from various nationalities with their distinct accents weave one story. Post the play, we did our own little exercise of guessing which country (based on their accents) did each one of the actor belong. If only could the whole world be such a happy family!! When I visited, the Multimedia Center auditorium had ‘Foodie’ film series going on and the event had movies like Tampopo, Spinning Plates, Etz Limon, The Hundred Foot Journey, The Lunchbox, Fire In The Blood, Chef, Estomago, apart from plethora of movies, plays, dance and music events all around. I happened to attend a music therapy session at Swaram (the place that celebrates music). If innovative musical-instruments are your thing, then this is your place. 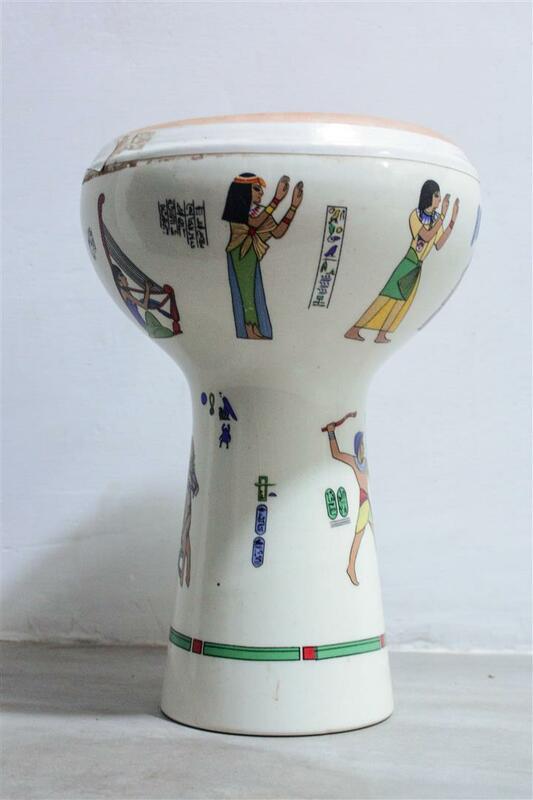 For example, in the image below is an instrument that needs water for it to be played. A word about animals: When in Auroville, you are one with the nature, in every sense of the word. Your toothpaste and soaps, if not stolen by the rats, would be left after being chewed upon and you will find yourself borrowing such things from your next door neighbor every now and then. If you are lucky, snakes might sometimes fall from trees and slither into the greenery. Every morning, koel would have a vendetta against your sleep past 6:00am. You get so mad at the never-ending coo-ing that you get up and decide to not sleep anymore. In a very pissed state of being. With a promise to sleep earlier from that night onward. Forget to tuck-in your mosquito-net properly, and be greeted by mosquitoes, cockroaches and lizards (the coastal area variety, that doesn’t let you sleep through the night with constant, loud and night-long ‘tik-tik-tik’), when you crawl into your bed later. Take a nap with half of the hut open in the afternoon, and find a cat sleeping next to you when you wake up. Soon you would learn to make peace these aspects of life in this area, and it would not seem half as bad to be bathing with a half-chewed soap, unless of course, there is a certain animal that creeps you out. Most of these will make for beautiful meal-time stories. After my observation of how things are in south India, there is only one thing I wish from my fellow-citizen in this part of the country; that they be a bit kind to the stray animals. My heart goes out to the stray animals in Chennai, Pondicherry and Auroville. I am told that Kerala is worse, while I pray otherwise. Auroville happens to have a few kind-hearted souls who take good care of animals. One such organization is ‘Dayakara’. I went to see the place for the possibility of rehabilitating a cat, but the timing of my visit (Christmas eve) was such that I couldn’t meet anyone. We need more people like them, definitely! 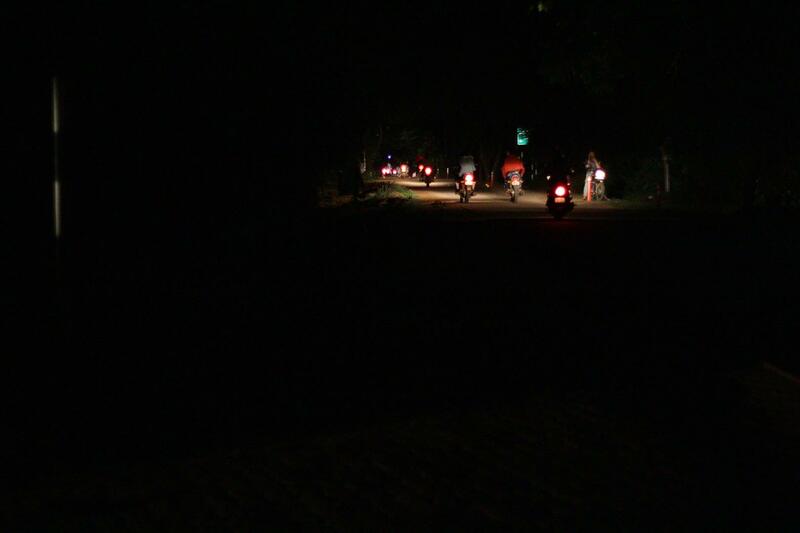 Carry a flash/torch-light: Post sun-down, navigating in Auroville without a flash-light is a bit of a problem. Here is an image depicting how dark it is post- sundown. The other side of the coin is that both full-moon, and moonless nights are beautiful! I clicked this pic as soon as a play we were watching got over, and we were waiting for our cab to pick us up. These are a bunch of motorists riding back home post the play. Learn a few local words, especially if you have nothing to do with the local language. While it was ‘illa’ (no), ‘ingey’ (where? ), ‘annaa’ (brother, used interchangeably with buddy, that kept me afloat, it was ‘ingey’ that sailed me through my stay in Auroville; be it dead of the night, with me trying to negotiate my way back to my guesthouse, or a crowded crossroad in the city with ways leading in 3 directions, with just five seconds (and a hurried ‘ingey?’ to any random motorist) to quickly decide which way to take. Buy the map from the visitor’s center. AND carry it with you at all times. It will help you in navigating around in AV. Check with your guest-house. Sometimes the guest-house office too stocks it. Request your guest-house for Auro-card in case you are going to stay for more than a week. It will make life easier for you, for many places accept payment ONLY through Auro-card. 6.Visit the local post-office; probably, the funkiest in the country. 7. Have a meal at a local’s home: I have no tips for this, but please try. It is way different from what you and I have in restaurants. 8. Get to learn basic yoga: At this, you are free to roll your eyes and throw a ‘look-who-is-talking’ at me, but this is precisely what I intend to do on my next visit to AV. When I see Yogis as fit as Dario Calvaruso (he is from Italy and a practicing yoga-trainer in Hong Kong), I want to be one almost instantly, but my love for food, combined with my inherent laziness gets in the way. 9. Learn about lifestyle various people have back home. For example, for me, Mary’s career was a very interesting one. She is a pet-sitter (pet-sitting is defined as the act of caring for a pet in its own home while the owner is away), and the profession takes her places, literally and figuratively. Learn how people live locally, too. How their mornings, noon and nights are different from yours. Given a chance/circumstances, would you be able to survive the way they do? Or how would you sail through if you had same limitations as them? Is there ANYthing you can do to make life better for ANYone there? 10. Is it safe? : Very. I have ventured out late at night, sometimes solo and at other times with people. If it worries you, then try and be in groups, or at least be two of you. When in Pondicherry, I observed that people keep to themselves. All is safe till you bump into four rowdy rascals from north India, in the dead of the night, at a petrol-station in Pondicherry, at some time around 12:30am. I was at a petrol station, getting my scooter fueled. Four drunk fellows, loudly cussing everyone in general, too were there. People stared at them with disdain but that did not bother them much. Ignoring them, I started riding from the petrol-pump, towards Auroville. After a few minutes, I could sense them following me quite closely. I did not want to leave the city area without getting rid of them, as I knew that the way to Auroville was dark and deserted at that hour. And that they were too drunk to be scared to anyone. I took a detour back into the town and drove around aimlessly till I reached an area in the white town where I had seen policemen stationed at all times, on my previous visits. I spotted a couple of them and stopped there briefly. This was enough for these blokes to speed past me fast and far. I immediately took that opportunity to turned back and take the shortest exit from the city towards Auroville. I was done with adventure for the day, it was time to head home. This piece of fact aside, south India is generally safe. On my almost daily trips to Pondicherry, I often forgot to keep track of time, and lost (and discovered) routes and landmarks. Once in a while, ambling around town late into the night, you might find yourself in a frame of a film being shot. That moment when I refused to budge without taking this shot; and they, very kindly, let me. One evening, I went to the beach to shoot the sun-set with all my photography-paraphernalia, and discovered this nugget the hard-way. You shoot sun-rise along this coast, beautiful ones at that! # Don’t say ‘no’ to the opportunity of trying/learning something new. 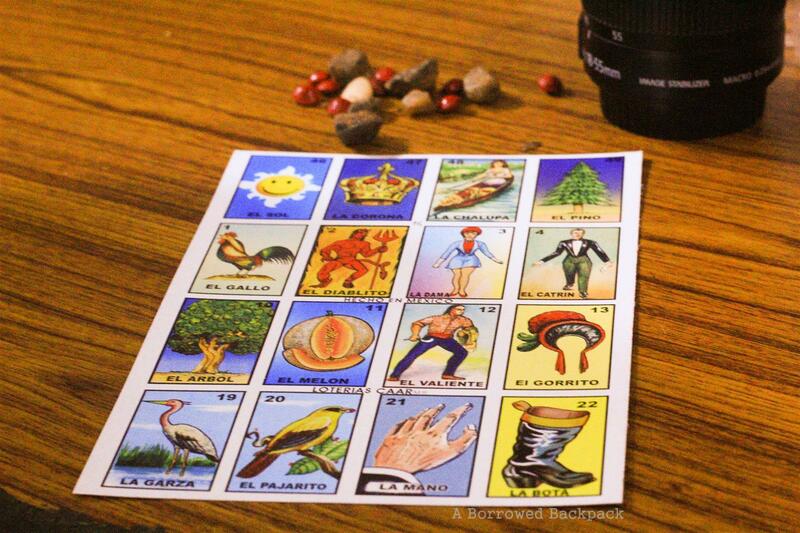 Night after night, we spent time learning ‘Loteria’, a Mexican game.. My understanding is that the name of the game is derived from the English word ‘lottery’. It is fun! Try it if you ever get a chance to. Ganesh Viswanathan, my fellow-traveller (who is a fab singer too; check out here), used this opportunity to learn surf-boarding. I used to marvel at his passion for the sport when he would, post-lunch, gear up to go for his lessons in the harsh south-Indian sun. For me, that time was to spent holed-up in my room; reading. Just learn anything that catches your fancy. Like we used to make music, post-dinner. Or learn to groove on salsa, just before dinner-time. Try learning different instruments and notes. or riding a two-wheeler; or making chai. Here, your fellow-guests know s-c-o-r-e-s of crafts/cultural activities that you know nothing about. Make use of it; go back richer. In a nut-shell, life is Auroville is an abundance that arises from inadequacy; a strange symbioses of paradox. It is a place where you can, if you are spiritually inclined, watch the metamorphosis of insufficiency in your life to bountifulness aplenty. The place, with its simplicity, nourishes the soul and thought-process, even if one is on a short visit. Ahaaaaan…….. This was a great great Read. I had bookmarked it to read later as us time I was busy jab you posted. And I am glad I got a chance to read it. Anyways, I read further and every word struck a chord in some way or other. *Auroville Bakery. That Place is Super awesome and I can back to Pondicherry for just that. Overall a Lovely Blog…. And it never seemed lengthy and I shall surely share it with any of my friends going to Pondicherry/Auroville. Arre I was Just kidding about the mention. A very good read! Looking forward to visit auroville in the next week and this article made me stand on my foot and not to delay it any further! Can you please tell the Accomodation charges for the Basic class of Giest houses ? You will have to figure that out from AV website. Shailendra. AV has various categories of stay-options, depending on the your requirements. I tried to figure it out from their site but the site only tells about the various classes of accomadation available . I m looking for the price range for various classes . Or jUST a slight indication of Charges incurred during your stay there . Auroville seems like an oasis amidst the chaos of urban India. Quite an experience you’ve had. It is! Though a lot people hold opposite view, for a traveller it is. 😀 Thank you for reading. 🙂 How have you been? Auroville is not meant for a rushed trip. I hope you get to travel soon. yeah I agree on that too! First of all great piece of information.Can you tell me your duration of stay to cover all this? and should i planned/booked these activities/ sessions before reaching av? Duration of my stay was a little over two weeks. No you need not book anything before hand; that’s the old-school, unplanned experience this trip would bring to you. I want to know few more things.I am planning to visit auroville in december end for 2-3 days, i know time is not sufficient but i have only 2-3 days.So should i visit av for 2-3 days or should i visit av in future when i have more time? I inquire with Aspiration guesthouse for room availability and they have only A type of room.So should i take A type of room or should i inquire with others guest houses for better type of room i.e. C/D type?Also i want to know their tariff if you have any idea? I would suggest that you go in future, with a bit more time at hand. Room type depends on your requirements. For example, for me basic rooms with clean washrooms are fine. If you need a bit more than that, then you can look around. For tariff, you will have to write to them individually. 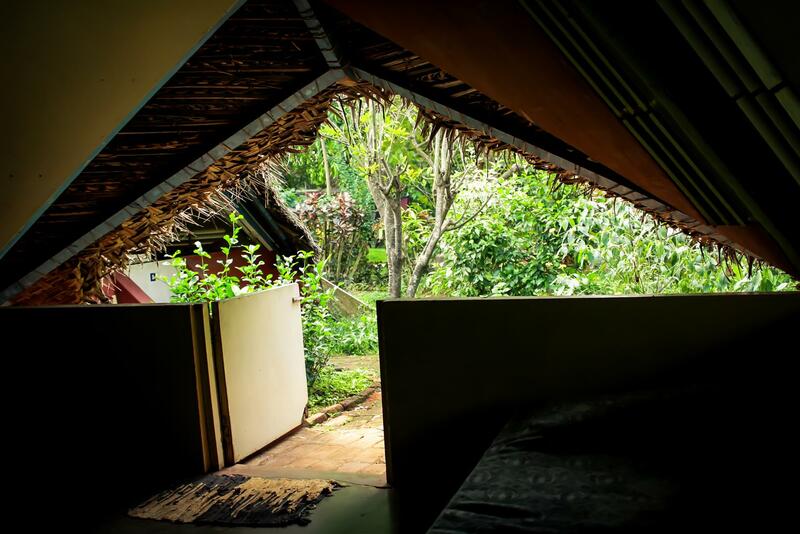 I am reading your article as I lie in my bed in Verite on the second night of my week short trip here in Auroville, staring up at that huge spider on the ceiling and hoping it doesn’t drop down on me as I fall asleep! Your story was one of the most ‘illustrated’ ones that I read online. But i mean that ‘your words spoke a thousand pictures’ rather that the other way round. I am sure that your article will be a big help to people meaning to look for truthful information about the wonder that is Auroville. Can I dare make a presumptuous guess? I think you just poured your heart and soul out into this article while trying your best to guard against getting too personal or inadvertently letting people into ‘yourself’. Just a feeling.. I must compliment you again. A serious reader would have felt that he lived those two weeks in Auroville with you! Thank you. It is always heartening to hear from a reader; these are little but beautiful takeaways of writing a travelogue. How was Verite? Would you like to add any detail to the existing information on A Borrowed Backpack? You are right about the fact that I did pour my heart and soul into this, like every post I write, however, the tussle to guard the inner self or lay oneself bare is something that is always there. Lines get drawn depending on how generous one is feeling at that point in time. I’m planning to be a Resident of AV.Could you please guide me. Guide you regarding what? 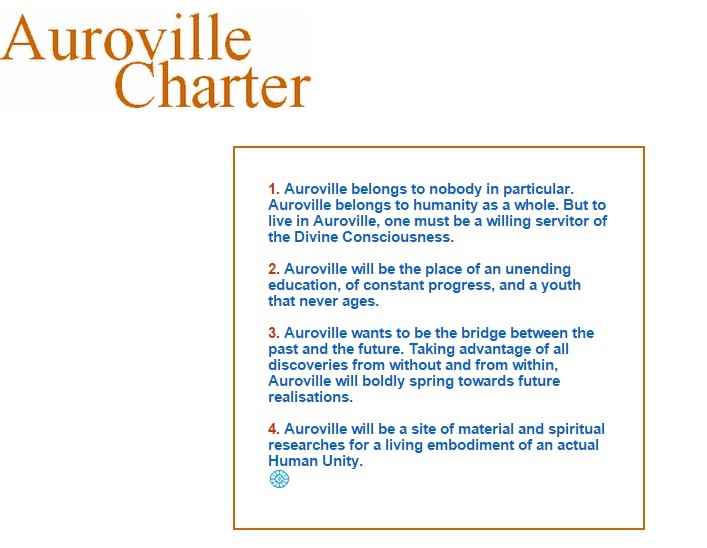 Auroville’s website, http://www.auroville.org/, has the complete process mapped out. Also, you can begin by writing to them, and they will hand-hold you through the process. Thank you for stopping by, Ben.